HOW WOULD YOU LIKE THAT PRINTED? 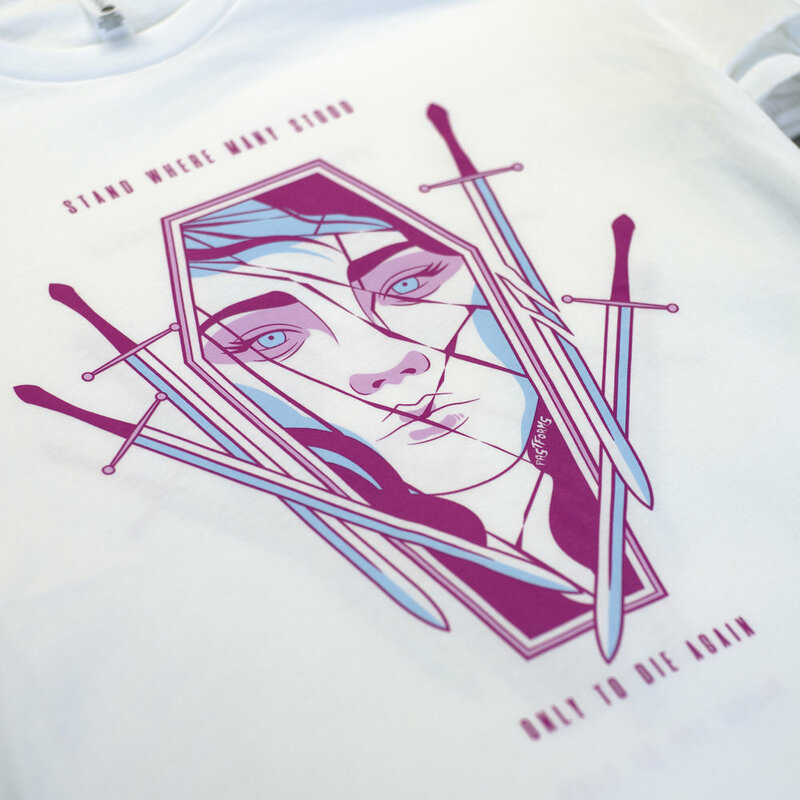 Knowing that you want to get some shirts printed is the easy part, but choosing how you want them printed can get confusing considering all the choices we offer. So we made this simple guide to help you with the lingo and your decision. If you still can't decide, no worries, we can help. Here at Twin City Tees we specialize in printing high quality garments using water-based and discharge Inks. We love water-based and discharge inks because when printed with they are pressed into and absorbed by the fibers of a garment, leaving it with a breathable and lightweight feel. Check out this sweet video of heat activated discharge ink becoming activated by heat. Water-based inks are a great choice when printing on light colored garments and are looking for a soft feel. The ink binds with the fibers of the shirt making it feel just as soft as the shirt itself. Water-based inks can also be printed on darker garments to achieve a vintage looking print. 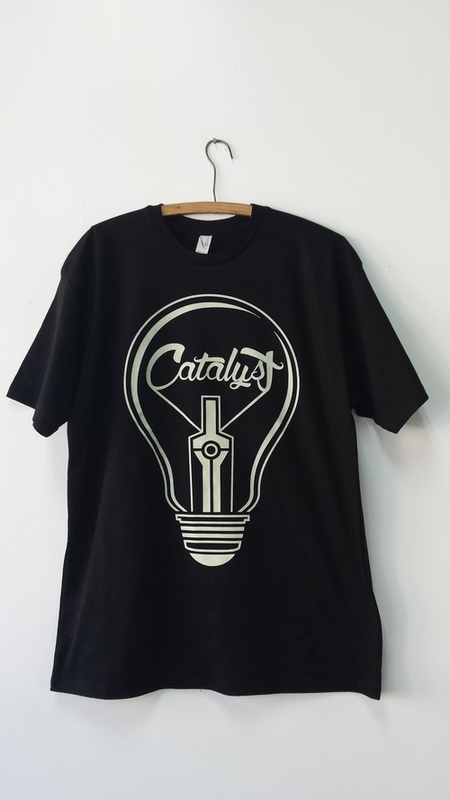 Discharge Ink is a water-based ink that is designed to print bright colors on dark garments. The ink is printed on the shirt and an activator removes the dye from the shirt fibers and replaces it with the dye of the ink color. The ink is as soft as the shirt itself. Discharge ink works best on 100% Cotton garments, and can create unique looks on cotton/synthetic blends. Water-based and discharge inks will look differently depending on the color and material makeup of your selected garments. We call this the VINTAGE look. This VINTAGE looking print is achieved using discharge inks on a cotton/polyester blended garment. Here is an example of the same discharge inks printing SOLID on a 100%cotton shirt. VINTAGE LOOK water-based ink on a cotton/polyester blend. Really all you have to do is choose what kind of garment you want and if you want it to look SOLID or VINTAGE and we will handle the the rest. Just remember there are still a few limitations, we may not be able to print the SOLID look on some garment colors and garments that have synthetic fiber blends(polyester, spandex, rayon...) using water-based and discharge inks. Don't be afraid to ask, if we don't think what you choose will turn out the way you want, we will suggest alternative options. As stated above, we love water-based and discharge inks and print with them whenever possible, but there are some instances where circumstances do not allow us to. Plastisol is a thermoplastic ink that only dries when heat is applied. Unlike water-based inks, plastisol adheres to the surface material of a garment and when cured does not breathe well and has a heaver feel on the material. Most screen printers in the US predominantly used plastisol inks. 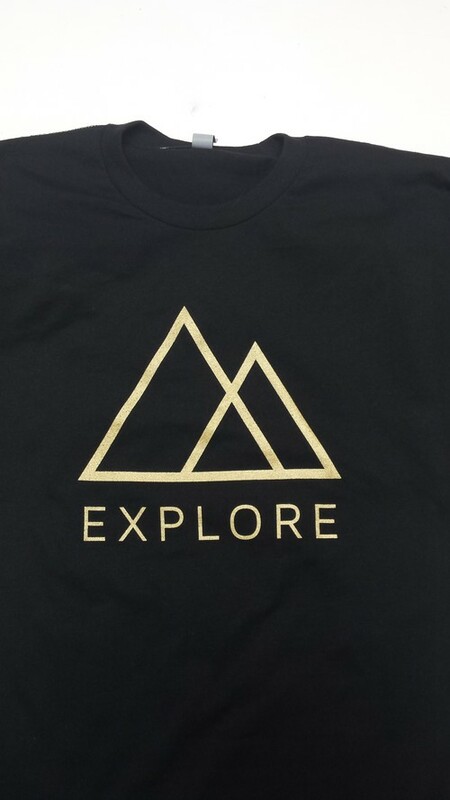 Gold METALLIC ink printed on 100%cotton shirt. Metallic Inks : These inks are used to give the print a metal appearance. They are often shiny and brilliant when first printed. Gold, silver and copper are the most common. Glitter Inks : These fun inks are made with a metal flake called crystalina. This is a small flake of reflective foil or plastic suspended in a plastisol base. The base may be clear or tinted. Common colors include gold, silver, red, blue and other various colors. Glow-in-the-dark Ink : The photoluminescent effect is achieved by using a non radioactive, nontoxic zinc sulfide pigment that absorbs daylight or artificial light. This glowing ink creates a glowing effect in the dark when charged by light. Heat Activated - Color Changing Ink : In this ink, there is a heat sensitive color changing pigment that performs a semi-permanent color change. The color disappears and is locked in at or above a threshold temperature. The original color will not return until the temperature is lowered. Light Activated - Color Changing Ink : Step out into the sun! This awesome ink, in the presence of sunlight or ultraviolet light, changes to a new color. This illuminating and reversible process is available in Blue, Yellow or Purple. SO WHAT DO YOU NEED TO TELL US? Its simple! All you need to let us know the GARMENT that you want, the INK COLOR you want, WHERE you want it printed and whether you want the ink to look VINTAGE or SOLID. That's the info we need to move forward and of course if we foresee any complications with your print style request, we will inform you and suggest alternatives.